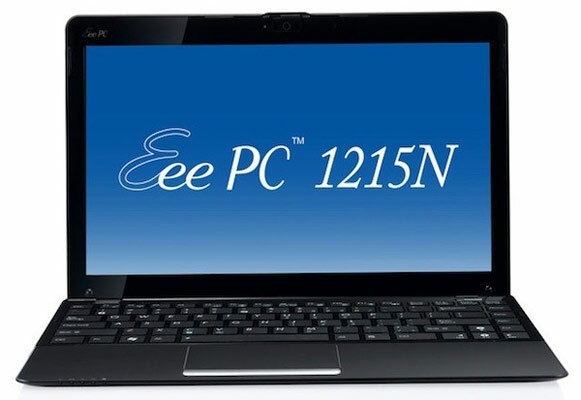 Asus will introduce new Eee PC 1215N that comes loaded with dual-core Intel Atom processor and Nvidia ION graphics for Rs. 26,999 in India. This netbook belongs to Asus' Seashell family and carries 12.1-inch display supporting HD. Apparently, this might be yet another 'must buy' performance segment netbook in that price bracket. We're yet to get details about the netbook's availability in India. The new Asus Eee PC 1215N comes in a sleek Seashell family design look with dual-core 1.8GHz Intel Atom D525 processor and can hold up to 2GB DDR3 RAM. One can add up to 320GB HDD and enjoy HD multimedia content with Nvidia ION graphics. That means you can enjoy 720p HD movies as well as play most of the graphics intensive games on the netbook. At the core of Nvidia ION lies the Nvidia GeForce 9400M GPU chip. This notebook will come with Nvidia Optimus Technology that will automatically switch graphics between integrated to discrete based on the computing requirements. Apart from 720p HD graphics supporting Nvidia ION, this netbook features HDMI out for connecting it to external HD displays enabling full 1080p HD playback. Yet another surprise comes in the form of Bluetooth 3.0 and USB 3.0 support for better connectivity. Of course we assume that built-in Wi-Fi and webcam exist. Asus Eee PC 1215N also features Asus Vibe, a repository for various apps and LocaleMe, an application that points of location using Microsoft Bing maps.